Bagan is an ancient city in central Myanmar (formerly Burma), southwest of Mandalay. Standing on the eastern banks of the Ayeyarwady River, it’s known for the Bagan Archaeological Area, where more than 2,000 Buddhist monuments tower over green plains. 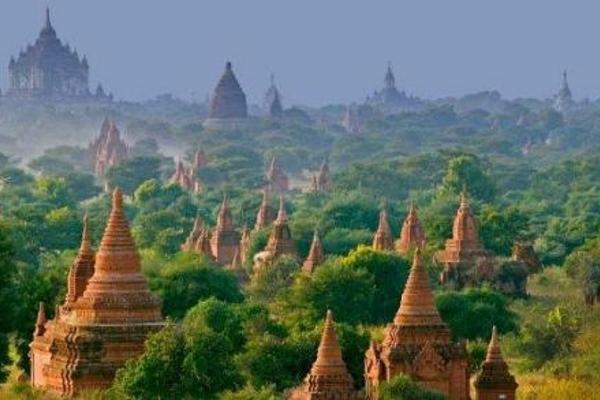 Holy sites around Old Bagan include ornate Ananda Temple, built in 1091 and topped with a golden stupa. Nearby is the vast 12th-century Dhammayangyi Temple. 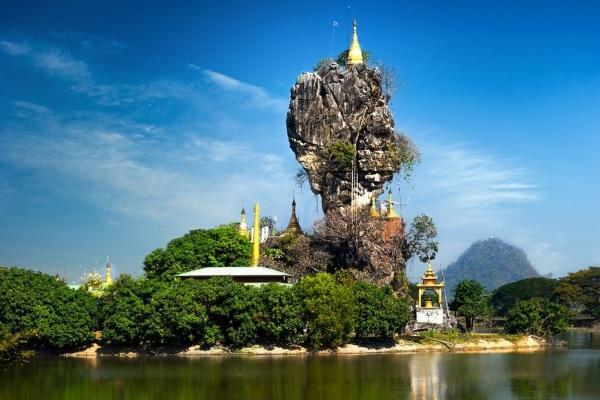 Mawlamyine, formerly Moulmein, is the fourth largest city of Myanmar, 300 km south east of Yangon and 70 km south of Thaton, at the mouth of Thanlwin River. 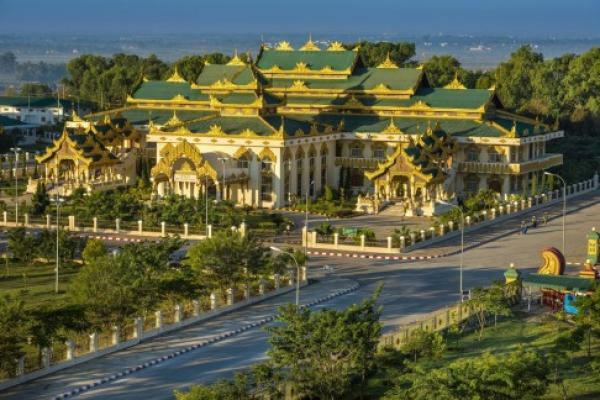 Meiktila is a city in central Burma on the banks of Meiktila Lake in the Mandalay Region at the junctions of the Bagan-Taunggyi, Yangon-Mandalay and Meiktila-Myingyan highways. Because of its strategic position, Meiktila is home to Myanmar Air Force's central command and Meiktila Air Force Base. The country's main aerospace engineering university, Myanmar Aerospace Engineering University is also located in Meiktila. Magway Region is an administrative division in central Myanmar. Magway Region is the second largest of Myanmar's seven divisions, with an area of 44,820 square kilometres (17,306 sq mi). 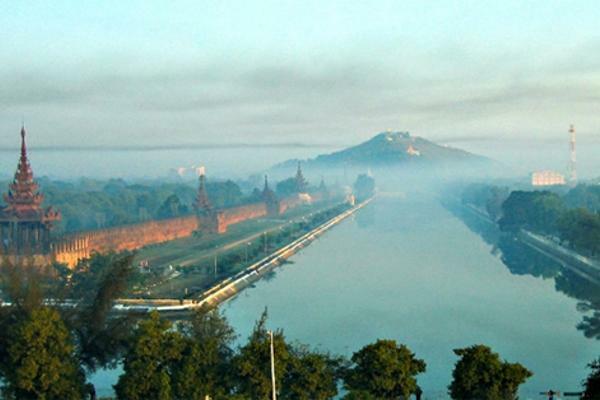 Pa Del Dam is one of the Dam in Aung Lan Township, Magway Division. 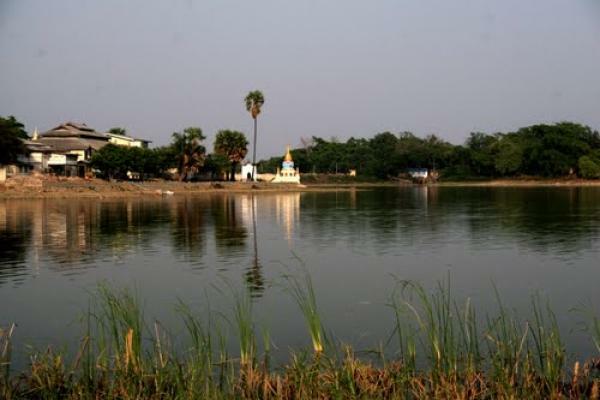 The artery of Magwe Region is the Ayeyarwaddy River. Railways and motor roads also traverse the region in addition to airfields. 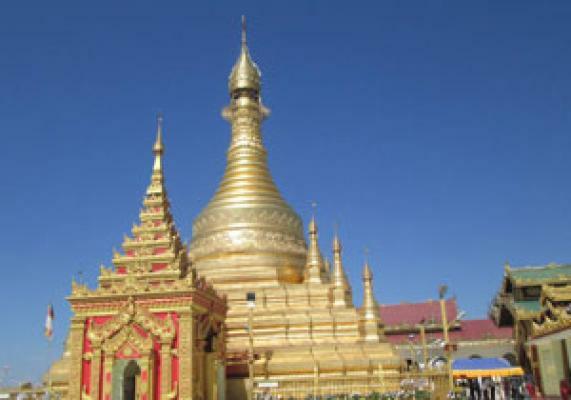 Magwe Mya Thalun Pagoda and Minbu Shwesettaw are famous destinations of Magwe Region. Naypyitaw is the modern capital of Myanmar (Burma), north of former capital, Yangon. Traditional tiered roofs crown the buildings of its Parliament (Hluttaw) complex. Exhibits at the National Museum include Burmese art and ancient artifacts. The golden stupa of Uppatasanti Pagoda has an interior carved with stories from Buddhist literature. In a nearby enclosure are white elephants, once prized by Burmese royalty. 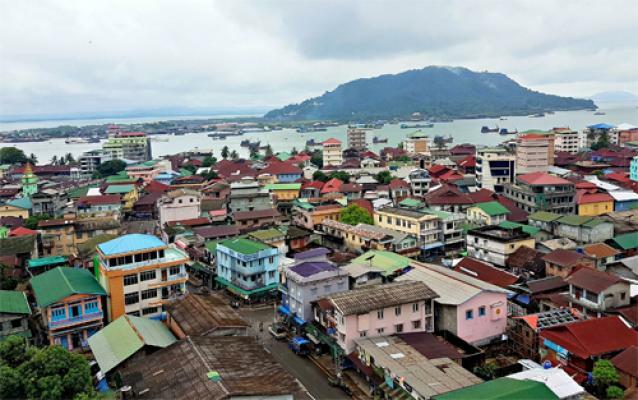 Myeik, formerly Mergui is a city in Tanintharyi Region in Myanmar, located in the extreme south of the country on the coast of an island on the Andaman Sea. As of 2010 the estimated population was over 209,000. The area inland from the city is a major smuggling corridor into Thailand. The Singkhon Pass, also known as the Maw-daung Pass, has an international cross-border checkpoint. 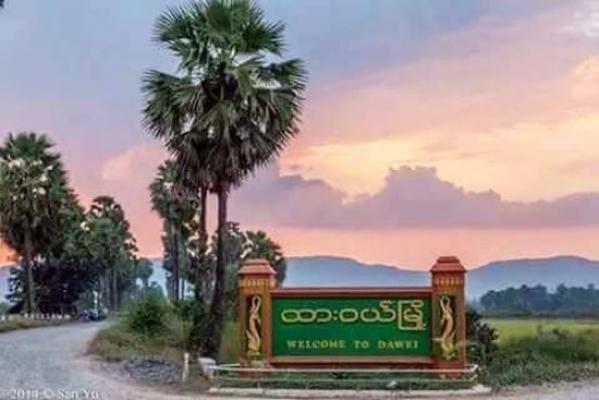 Dawei is a city in south-eastern Myanmar and is the capital of the Tanintharyi Region, formerly known as the Tenasserim Division, about 614.3 km (381.7 mi) south of Yangon on the northern bank of the Dawei River. Population (2004 estimate), 139,900. It is at 14.09°N 98.20°E. Dawei is a port at the head of the Dawei River estuary, 30 km (18.6 mi). from the Andaman Sea. As a result, the city is prone to flooding during the monsoon season. "Dawei" is also the name of one of Myanmar's 135 ethnic minorities. 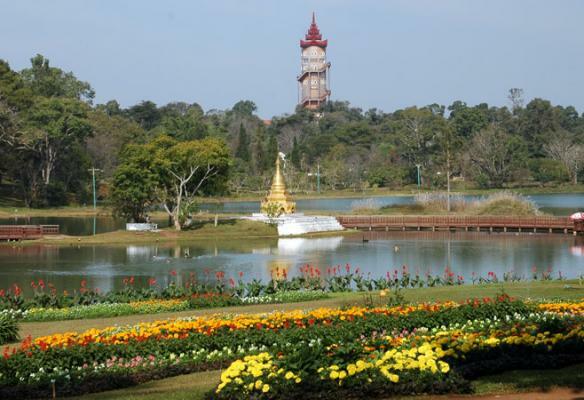 Pyin Oo Lwin or Pyin U Lwin formerly and colloquially referred to as Maymyo, is a scenic hill town in Mandalay Division, Myanmar, located in the Shan Highland, some 67 kilometers (42 mi) east of Mandalay, and at an altitude of 1,070 meters (3510 ft). The town was estimated to have a population of around 255,000 in 2014.